A few years back I was working in England and managed to get my VFR up to Wales twice before I had to ship out again. Wales is great riding and stunning scenery. Sadly I missed this months winner by a week or two, To bad as I would have loved to see it in person. 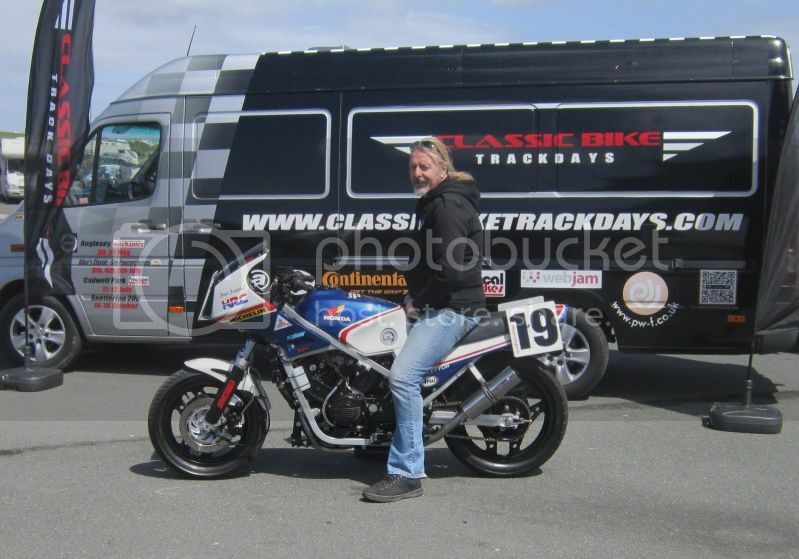 Congratulations Rich (cakeman) your VF750F is Aprils Bike of the Month. A link to Rich's post in the Gallery section. Thanks guys....... The bike has changed a little since the last time I posted, she now sports the front forks and wheel from a 92 GSX750f and a back wheel to match (mainly for better tyre choice) and around Christmas I picked up a complete VF1000fe cheap which I did consider restoring but instead I've decided to fit the engine to the 750.......I did think about putting a vfr750 engine into the old girl as the RC24 lumps are cheap and plentiful here but although easy enough to fit into the frame the output shaft is a lot higher than the RC15 and could have caused chain run problems so the 1000 engine gets the thumbs up. Nice bike and congratulations. This is another bike I haven't ridden yet. I'd like to see a pic of the newly installed parts when you get a chance. Very nice! Miecul, I had 3 at one point. Very fun ride and cutting edge back in the day. cakeman has it right though, the choice of tires for the stock wheels is severely limited as it is with the 2nd gen VFR 700/750's. A wheel change is the best solution. Again, cakeman, VERY nice bike.